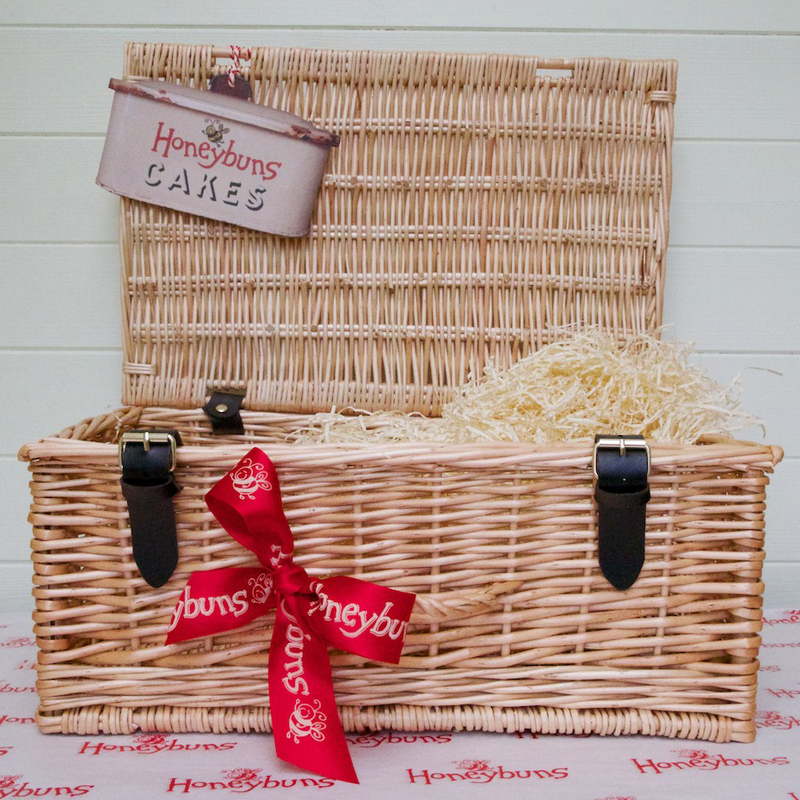 Fill this handsome hamper with your own choice of favourite Honeybuns treats. We also have a selection of pre-filled hampers. 16" strong hand-woven wicker hamper with a strong handle, real leather straps and hinges. Made in Somerset. Hamper size: Diam 420mm wide x 280mm deep x 180mm high. Comes with approx. 170g of cream shredded paper fill (FSC approved source, biodegradable and recyclable), and a slightly oversized cardboard outer box, red Honeybuns ribbon bow tied on the handle, and a Honeybuns card. Add your gift message and gift stamp at the checkout. All hampers are sent via Parcelforce 24 hours service.